Anaerobic digester tanks have been supplied to major international process companies who rely upon glass-fused-to-steel on a repeat basis because it has a proven long-term corrosion resistance in this aggressive environment. Because glass-fused-to-steel is a molecular bonding process, there is no coating that will ever flake, peel or chip and therefore routine maintenance costs and down time are greatly reduced. 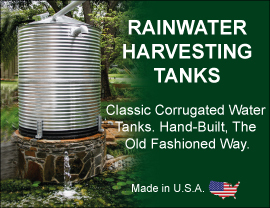 Contact us today to speak to one of our experts on how our tanks can be used as a anaerobic digestor tank.